I’ll be working on a full review (or maybe more of a reflection) of the show for later on, but I need to get my Haruhi reflection out of my head so I don’t end up just saying the same things all over again. But anyways, let’s talk about this explosive (sorry) finale to what I think I probably consider the finest show of the season. 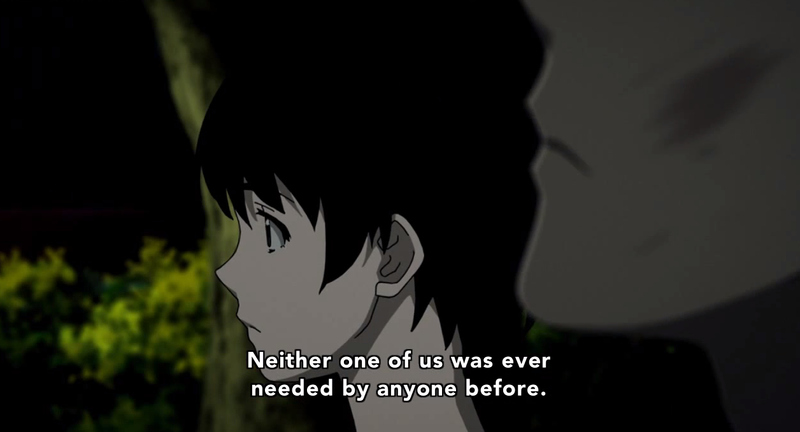 And Zankyou no Terror was a fine show—a thoughtful and sensitive show, realistic without being handcuffed by reality, a bit cynical without being hopeless. It says a lot about how brief Twelve’s appearance in the last episode really was that when he appeared at the beginning of this one, I had completely forgotten why he was so banged up. Obviously, I figured it out after a bit of thought, but I’m grateful that Zankyou no Terror returned to that moment later on in the episode. Lisa’s reaction to Twelve’s appearance is as expected—she’s worried, but thankful he’s safe—but I found it more significant that, while everyone else in the city is evacuating, it’s as if the thought has never crossed her mind. At this point in the game, Lisa is totally committed to Sphinx, even as she wonders is being so will result in death. Twelve says some important stuff to Lisa as they wait for the bomb to explode, the most important thing being his statement about being needed. “Neither of us was needed by anyone before,” he tells her. 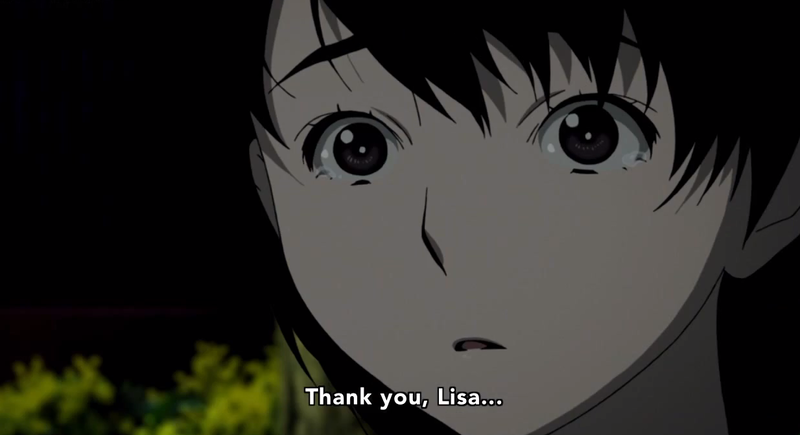 “I’m glad I met you.” This is one side of the theme on which Zankyou no Terror reflects—to be needed is to be known, but more importantly, it is to be able to love. That’s why, for all the shipping jokes that have been made about Twelve x Lisa, I say that they did love each other, and Nine too. 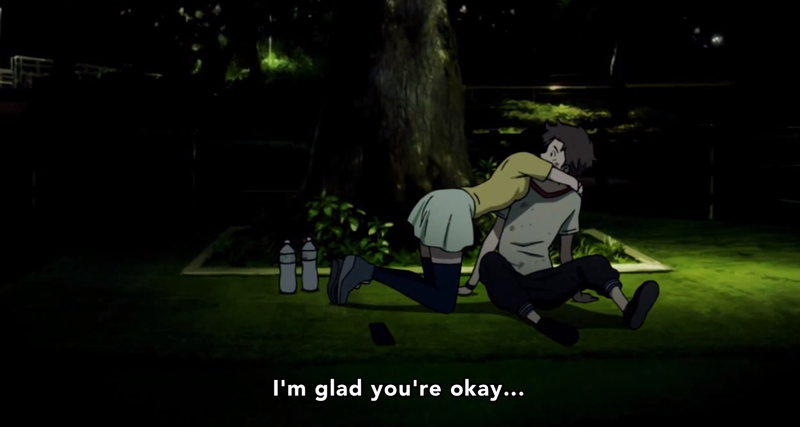 Not romantically; despite Zankyou‘s occasional inclinations towards romanticization at times, it is focused on the more essential need to be known. But that’s a line of thought for another piece. The drama of the bomb’s detonation, from Shibasaki’s call to his daughter to Hamura realizing how the bomb would get up into the sky to the frantic response of the government to the jets being unable to follow the bomb, was well-executed, but ultimately (for me at least) secondary to the actual explosion and its aftermath. But, of course! This is it! 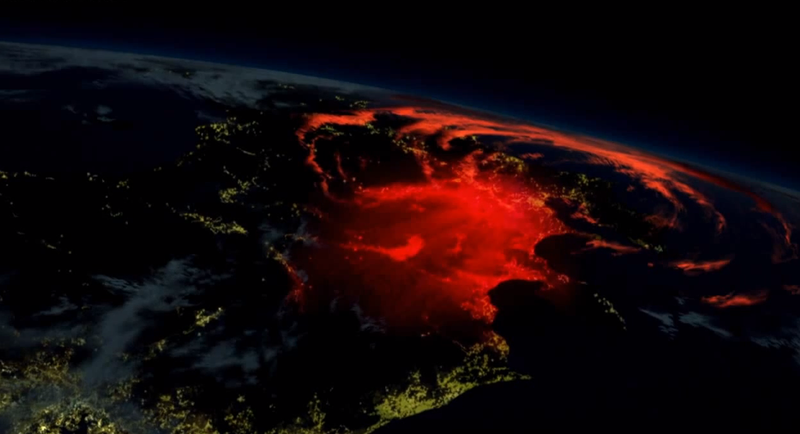 This is what the entire show has been building towards, the final motion by Twelve and Nine, the final shout, the final desperate call—one that will scar the world with their memory. And when they’ve done that, all that’s left to do is to retire quietly away and wait to the place where it all began. The sequence we see of Nine, Twelve, and Lisa at their hometown after the explosion probably is the most melancholy scene of the entire show. It contrasts splendidly with the intense intimacy of the ferris wheel bomb scene—that was a scene for grown-ups, while is is a moment for children. 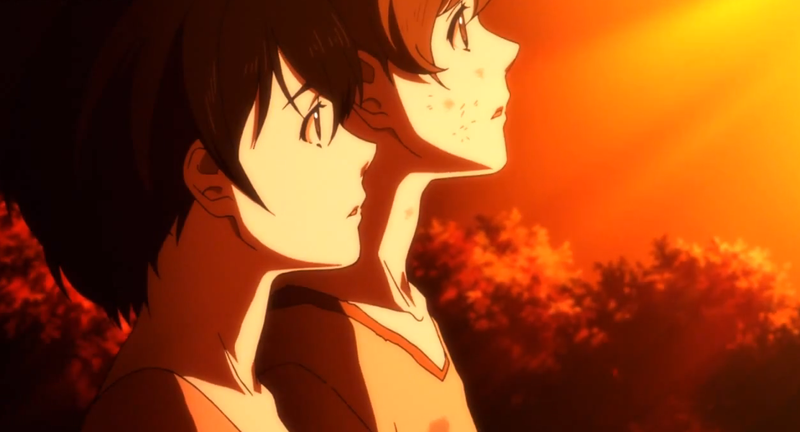 Last week I was lamenting the great tragedy of Zankyou; that is, the loss of childhood and innocence. But for a few wordless minutes we are privileged to see Nine and Twelve return to their childhood and bring Lisa with them. But childhood doesn’t last forever. Eventually, you have to become an adult, and for Nine and Twelve that means taking responsibility for the destruction they’ve caused. So when Shibasaki shows up to arrest them, they’re ready to go. Not only has this been what they’ve planned for from the start, but they had the beautiful chance to touch the joy and freedom that had been denied to them for so long, even if it was just for an afternoon. And that, I think for this conclusion to this show, is the thing I loved the most. I’ll talk about Nine’s final request to Shibasaki on behalf of himself and Twelve in my upcoming piece on the show, but it was the calm manner in which every thing wrapped up that sold the finale for me. It’s as Lisa says, “I gradually got used to it, and a year passed in the blink of an eye.” Life goes on. Dirait-on. For his part, I loved Shibasaki in the final scene with him and Lisa. His offer to her, “If anything happens, come talk to me anytime,” is beautiful, kind, and generous. 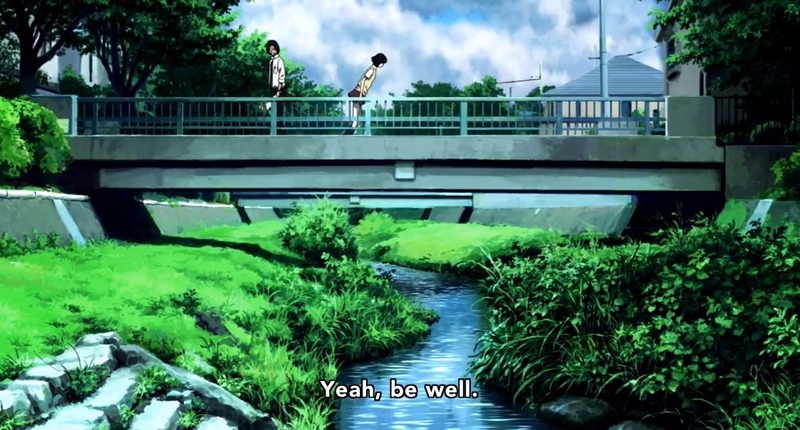 And his final words, the concluding line of the entire show, “Yeah, be well,” is…it’s just… It’s not quite Zankyou no Terror, with all its bombast and gigantic emotions and resonating statements, but then it is. An encompassing wish. A prayer for the present and the future. And all this set against the background of a trickling stream in a lush, green land. VON means hope, and I think for all its bitterness and anger, Zankyou no Terror believes in a future, in a world, with all its impulses to block people out and grind people down and use people up, that can be well. What a beautiful ending. Definitely show of the season, for me. By the way, I found an analysis on Five’s character that somehow managed to string all her actions together. I immediately thought of your post on last episode when I read it. Ah, that was a good read, and I see a lot of the things I’ve been saying about Five all along in there. Glad there’s someone out there who can effectively string all of that stuff together. Ultimately, though, I never felt like I needed an explanation for Five’s actions or character. I agree with pretty much everything that post said. For me, it came down to execution. And I don’t think Five’s character was executed well. Sure, we can dig out these motivations and follow the tracks from her appearance to sad death, but the show itself fell short of effectively articulating those characteristics in a coherent fashion. So, for me, I wasn’t so much bothered because I didn’t think Five made no sense (she did! ), but by the fact that the show itself made it so difficult to connect the dots by making her inconsistent and less-than-grounded in the world of the story. Hmm… I guess that’s a matter of interpretation/opinion, then. I thought the show gave us enough regarding Five that I didn’t really have a problem connecting the dots together in the end. Trying to properly do justice to a character that’s meant to be both hollow and unbalanced is a difficult thing, and I thought Five was pretty decently executed, all things considered. 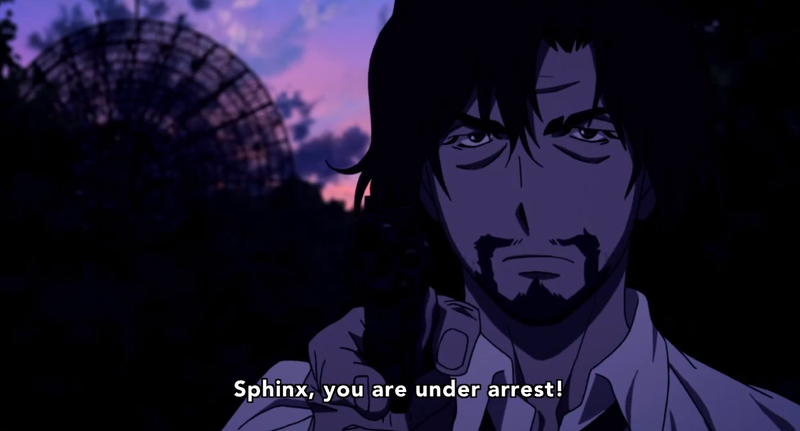 Nine’s breakdown forcibly reminded me of Yoshino’s in episode 18 of Zetsuen no Tempest. Doesn’t help that their voice actors are two of my favourites. My heart broke all those months ago, and it broke again today. Kaito Ishikawa, I take my hat off to you (actually, forget that. I’ll take my hat off to the whole cast). Regardless, it’s been a pleasure reading your posts- they’re very insightful and really cordial in tone. Will you be doing a preview for the upcoming autumn season? & thank you very much! I try to sound like a thoughtful & nice person when I write! I actually have more or less disavowed season previews, but I currently have up on my Current Watchlist all the autumn shows I’m going to be at least watch the first episode of. I’ll have also have a first impressions post of everything I watch up after the first episodes (although it might come in two parts—premieres looks like they’re spread across almost two full weeks this season for some reason). I was upset by the ending but as you’ve mentioned, it was obvious that this show wasn’t going to have a happy finale. I think a lot of people will probably be depressed after that ending, however the important part is what a gargantuan accomplishment Nine and Twelve actually made and the awareness that they’ll be able to spread to the world through their (and hopefully Shibazaki’s) actions. Great writeup! It was definitely sad that it ended the way it did (b-b-but cute Twelve x Lisa babies!! ); however, as you said, they accomplished a big thing. Their voices have been heard at last. I really loved the ending too, sad as it was (though not entirely without hope, I thought). My only niggling sense of regret with the show’s conclusion is that we didn’t get to see what happened with Lisa afterwards; the issues with her mother, for example, remained almost entirely unexplored, and I wish we had been able to find out more. That’s where a comedic, set-mid-show OVA focusing on Shibazaki, Mukasa and Hamura, and Nine, Twelve and Lisa would be a nice thing to have. Probably not, but it has been said many times that it’s healthy to have dreams. For me, I thought seeing Lisa afterwards “answered” those questions for me, if that makes sense. She’s obviously, of course, been deeply effected by her relationship with those boys, but she’s returned to something of a normal life. I’ve got nothing. This was a really good ending, and you’ve done a great job with this review! I’ve naught but a few scattered thoughts to comment upon. If I was to use any additional words to describe the ending, it would be “cathartic”. 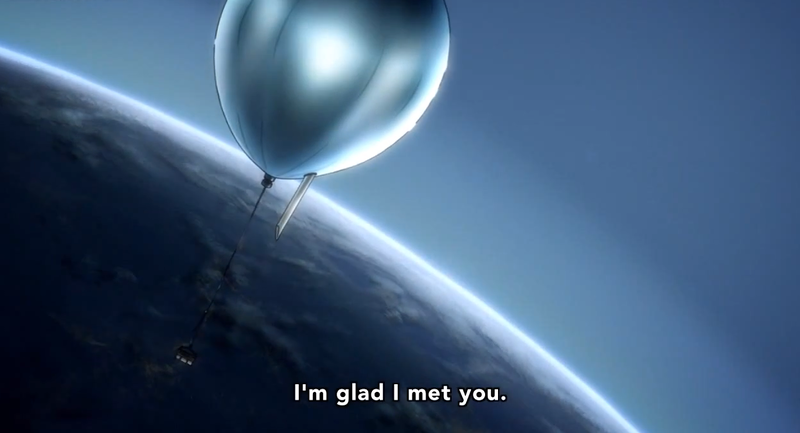 It feels as if the series had always been building towards this exact ending, so even if the finale is wistful and bittersweet, it’s extremely emotionally satisfying. It ended in a way that perfectly fits itself, and that’s a wonderful thing to be able to say. It’s a tragically seldom occurrence. But man, that doesn’t stop me from being legit sad that the boys had to go down. Such short lives… Birds with broken wings. But once again I agree with you, it wouldn’t have felt right any other way. Wistful, I think, is a really nice word to use to describe the ending. 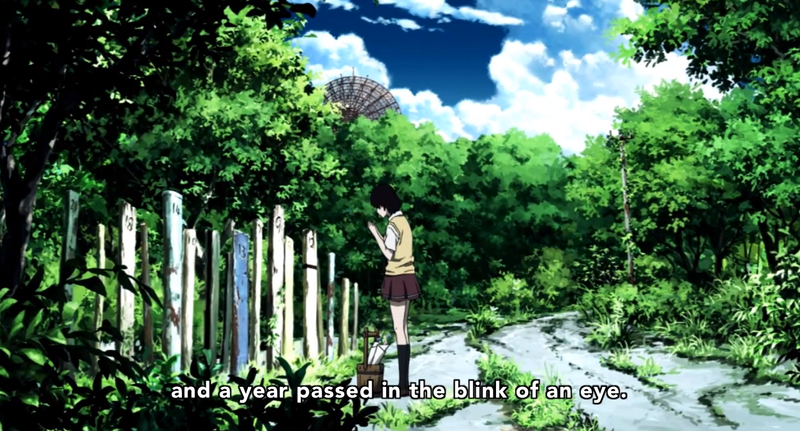 And especially in light of another show that ended recently with the deaths of main characters, I’m especially appreciative of the way that Zankyou concluded. & yup, those OP lyrics are a really stellar fit for the show. Sonically, too! I’ll probably take a week or so just to let my final piece on the show breathe, to work through things and come up with a solid core for the piece, but I’m definitely looking forward to writing it! I wonder, did Nine and Twelve returne to their childhood that afternoon, or did they finally to have one, unfettered under the sky, for a few hours anyway? Wasn’t happy how America was portrayed, but thats just my bias sitting in, it was fitting for the role of the show. And it was done very well.